Kuo’s SE was simply a spec bump to the same basic design. It was a no-frills device to occupy the bottom of the lineup without falling too far behind current specs. This video shows a phone that more closely resembles the iPhone X. It has the notch, Face ID, no Home Button, and it uses the same gesture navigation. It is also rumored to sport a MUCH higher $799 price tag, as well. This is more than double the SE current $350 price. While elements of this rumored SE 2’s design, such as the straight aluminum sides, do refer back to the original SE and iPhone 5 before it, the rest is much more modern. 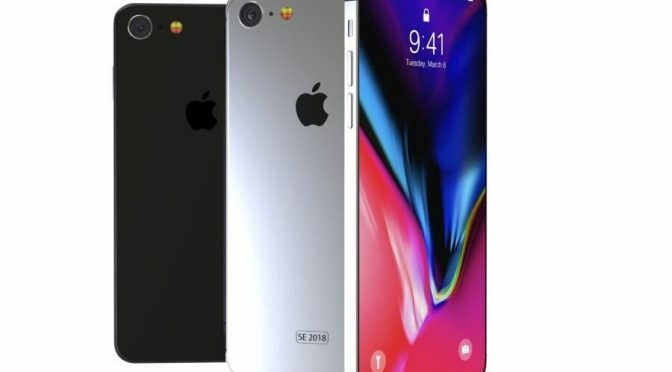 I can’t help but think that, if this device is real, that it will end up being the 3rd new iPhone we’ve hearing will come this Fall. The lower cost version with the 6.1″ LCD screen. It does actually make some sense, as a lower cost phone will have to have some compromises, such as the LCD screen in place of OLED. It would be unlikely for such a phone to have the same thick glass over a stainless steel frame of the iPhone X, either. The tried and true aluminum edges of the SE sound like a great alternative. They are updated and skimmed down on the phone in the video, but that should still be an easier and cheaper design for Apple. If this SE 2 costs $799, which is about what I would expect the new cheaper iPhone to go for (maybe a little less), then what happens to the low end? That would be the easy part. Apple could just keep the SE around another year, or they could just make either the iPhone 7 or 8 the cheapest option, and move on. This SE 2 could definitely be either a hoax, or a prototype that will never see the light of day. In fact, those are far more likely than the alternative. However, these things are interesting to consider, and I’m giving it the time of day because this source actually got it right before on what turned out to be a pivotal detail. What do you think of this potential iPhone SE 2 design. Is this big news, or is it closer to Bigfoot? Let me know what you think in the Comments section below, on Flipboard, on our Facebook page, or on Twitter @iPadInsightBlog.